Chicory blooms abundantly in the park next to our home, Frick Park, in Pittsburgh. It flourishes where the mower leaves a five-foot border, and then our trees come next. I wait there with Petra, my black russian dog, to wait to see which butterflies flock to chicory’s beckoning blue, pink, or white blooms. We wait and wait, until Petra signals that she’s had enough! 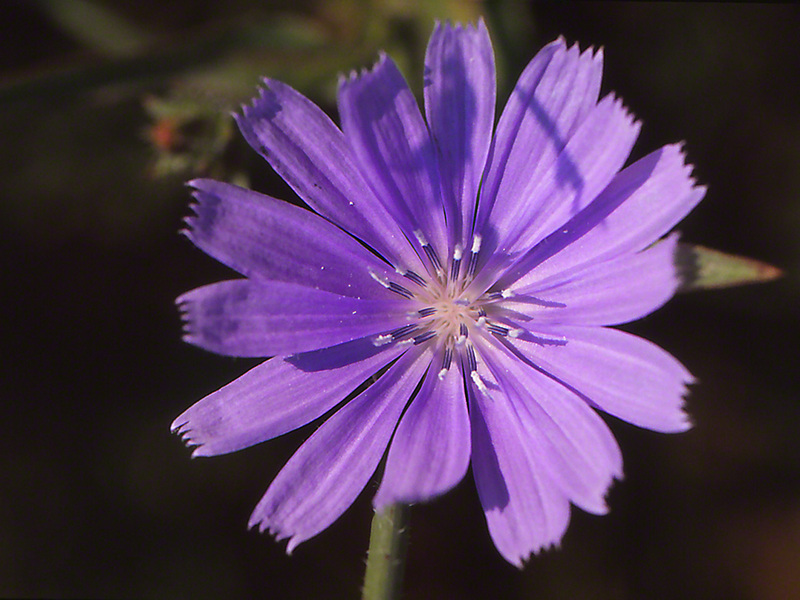 Cichorium intybus is an aster. I didn’t know that. It didn’t greet the Pilgrims and wasn’t a favorite of Pocahantas because it’s an alien flower, probably from Europe. Sure we’ve seen butterflies eat nectar from chicory. It remains the equivalent of the out of the way little store around the corner and across the street. It’s one with limited selections and just not fun to shop in. Chicory blooms are there if butterflies need them, but only if all other blooms are tapped out and empty of sugary brew, the nectar. Bombus pennsylvanicus are less picky, and work these flowers from dawn to dusk. End of story? Chicory is here to stay, and found in almost all of the United States. Come to think of it, didn’t I spot them in Israel a month ago?